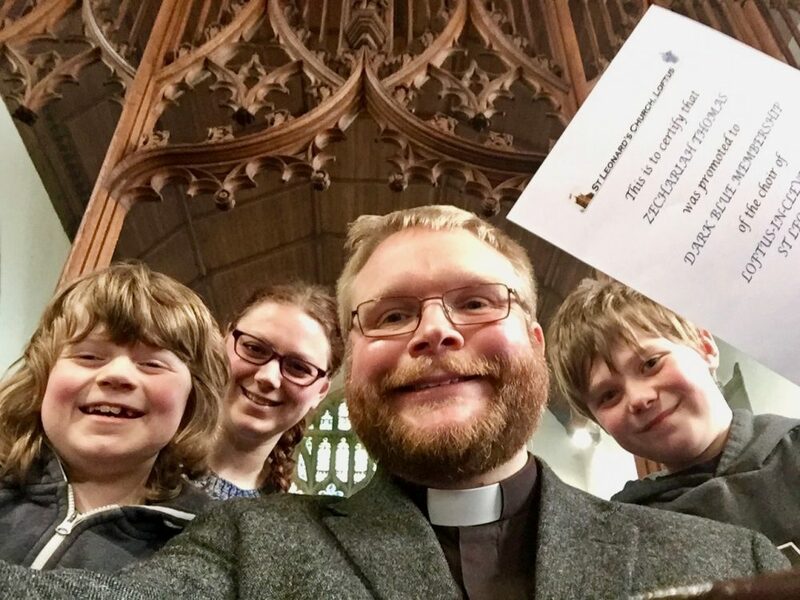 Eleven Choir Promotions on Sunday the Eleventh! 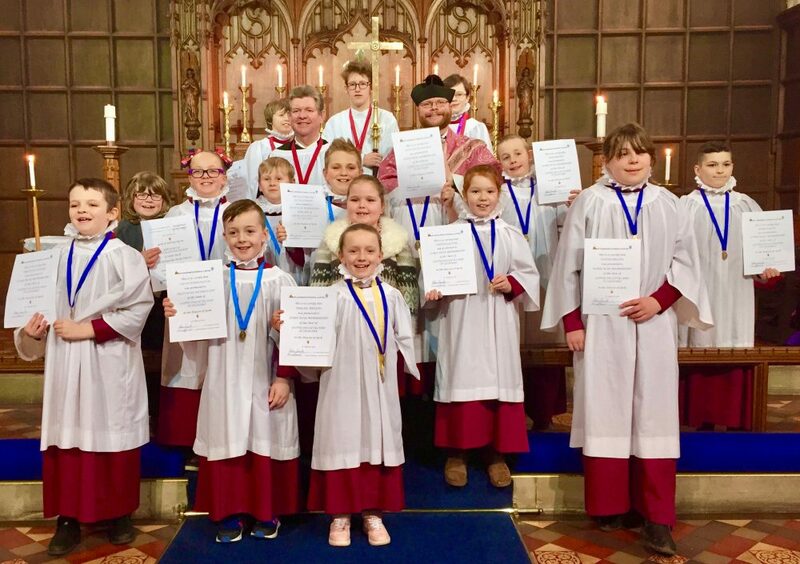 On Mothering Sunday, Sunday the 11th March 2018, eleven members of Saint Leonard’s Church Choir Loftus were formally promoted to dark-blue and light-blue membership of the choir! 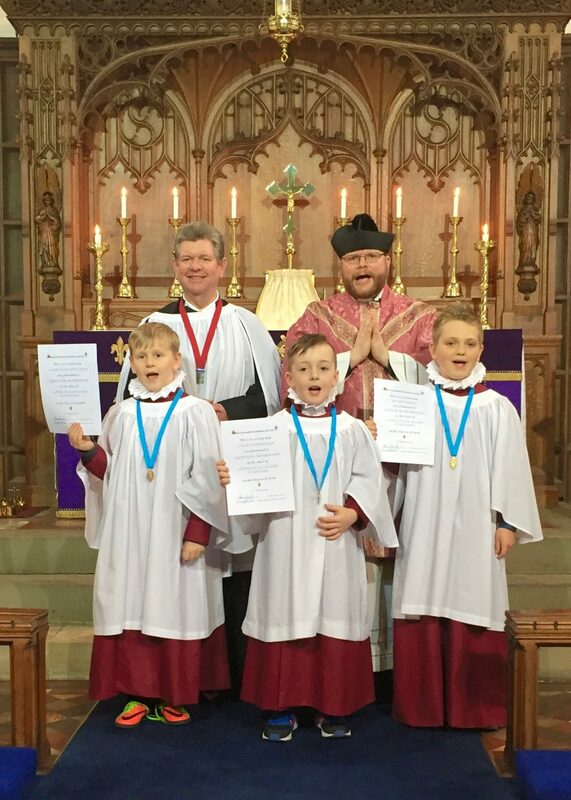 Having successfully completed their course of study and their practical work, three probationers became full members of the choir and were promoted to light-blue membership and an amazing eight members were promoted from light-blue to dark-blue membership; all having qualified to these promotions under the scheme provided by the Royal School of Church Music for Parish Church Choirs. 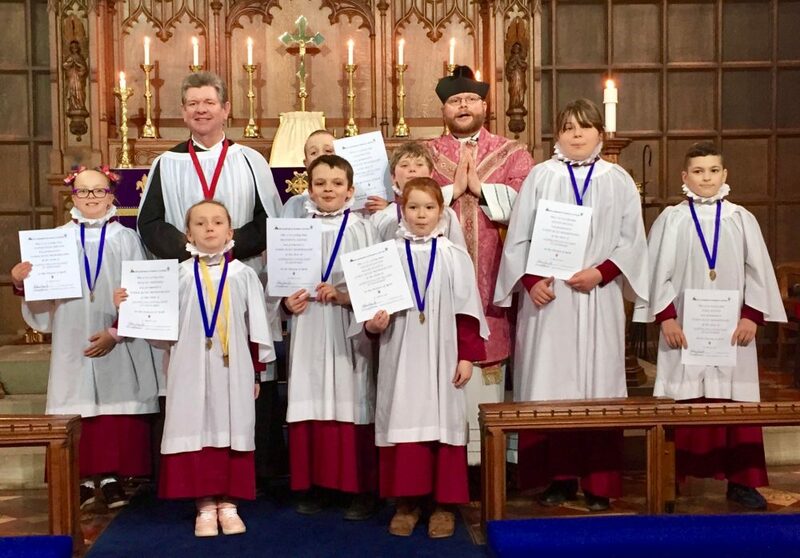 Saint Leonard’s Church Choir is open to any children aged seven or above, who are interested in singing. Those interested in joining the choir should contact our Director of Music, Mr Richard Bendelow on 01287 634429 or speak to the Rector.